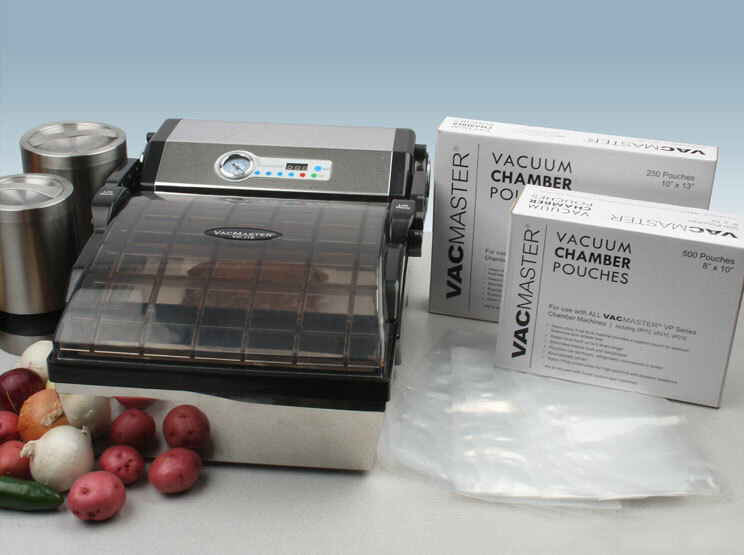 Chamber Vacuum Sealing The VacMaster® VP112 Chamber Machine takes traditional commercial technology and transforms it to fit your home. 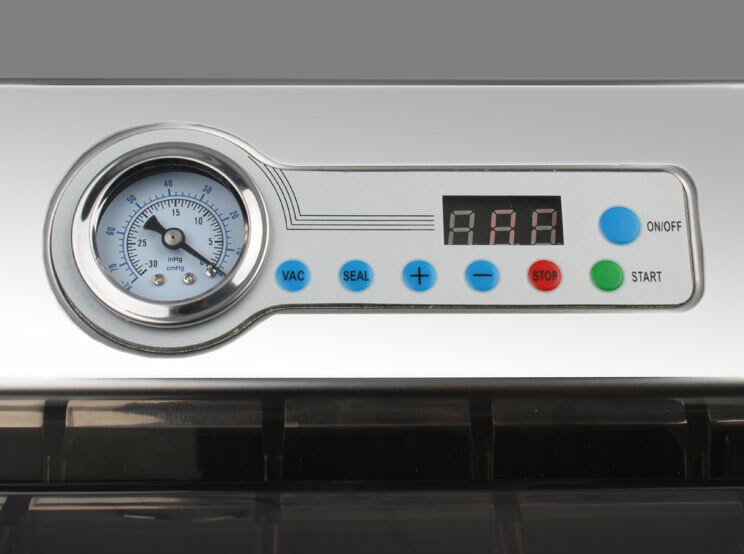 The VP112 features commercial chamber technology, which takes you far beyond the vacuum sealing capabilities of vacuum bags. 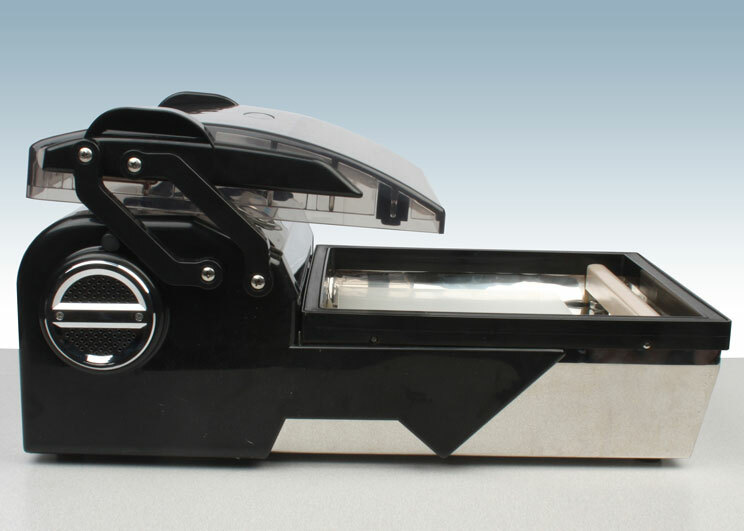 With chamber technology, the vacuum pouch is placed inside a vacuum chamber and the lid is closed. Air is sucked out of the entire chamber, not just the pouch itself, allowing air pressure on both the inside and outside of the pouch to remain equal and liquids to stay inside the pouch. After the air has been removed, the pouch is fully sealed and air is returned back into the chamber. 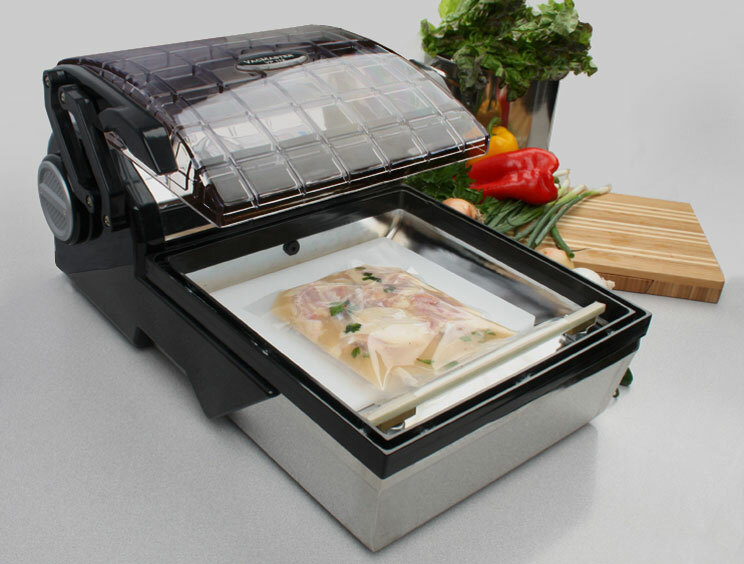 This technology allows you to easily vacuum seal liquids, such as soups, a task that's far more difficult with ordinary vacuum bag based technology. 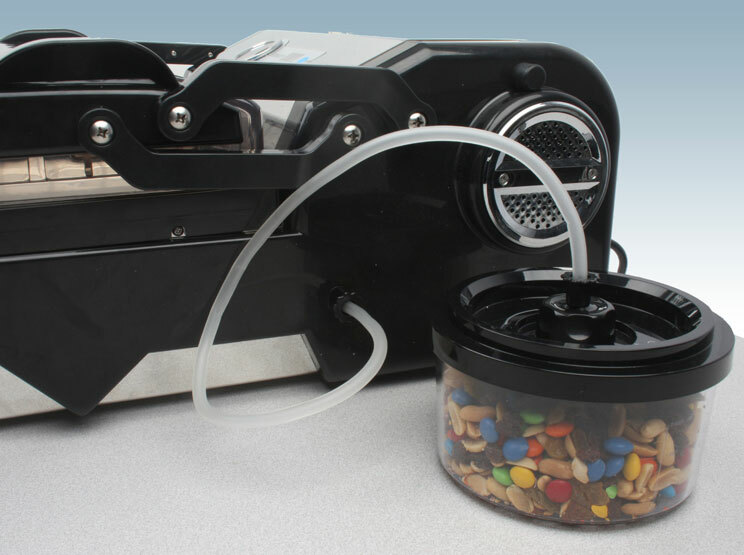 You can vacuum package food or other items in chamber pouches or use the accessory port with vacuum canisters for easy storage. The VP112 accepts chamber pouches up to 12"W x 14"L. Chamber machines only accept chamber pouches for packaging.